Panathinaikos OPAP will continue its quest for a EuroLeaugue playoffs ticket without Deshaun Thomas. 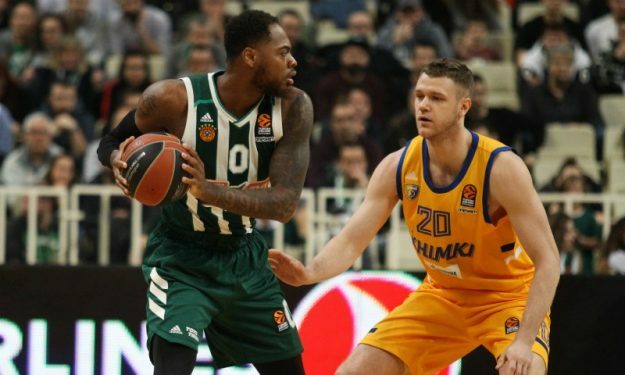 Besides injured Matt Lojeski (biceps) and Nikos Pappas (knee), Panathinaikos OPAP will also miss Deshaun Thomas in its EuroLeague Regular Season Round 24 away game against Herbalife Gran Canaria. The 27-year-old American forward didn’t practice on Tuesday due to illness and didn’t travel with his teammates to Spain for the crucial matchup. The Greens are one win away from the playoffs zone, while the Spanish club is five victories behind and all but eliminated. Albert Oliver (harmstring), Luke Nelson (ankle), Nikola Radicevic (ankle), Anzejs Pasecniks (ankle), Luke Fischer (elbow) and Eulis Báez (calf) didn’t play last week against CSKA Moscow and are expected to remain out.